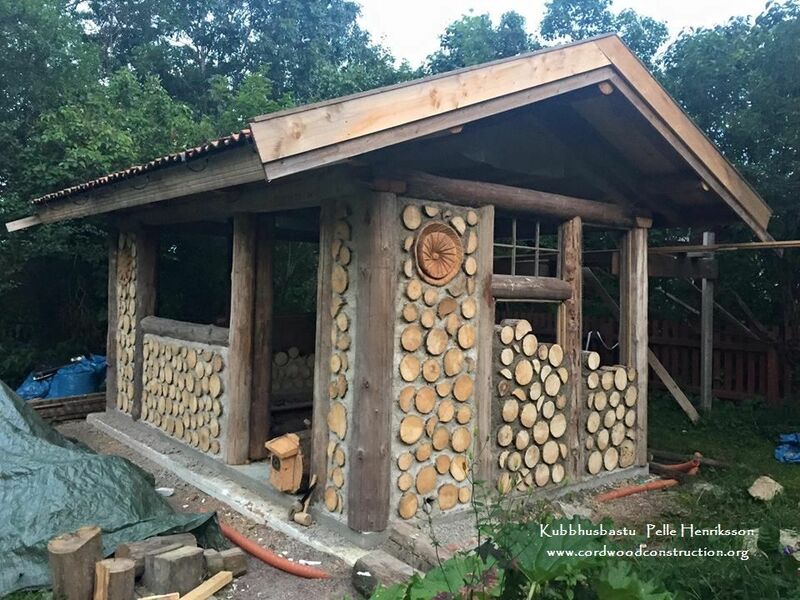 Pelle Henriksson has added to his portfolio with these new pictures of his backyard sauna in Sweden. 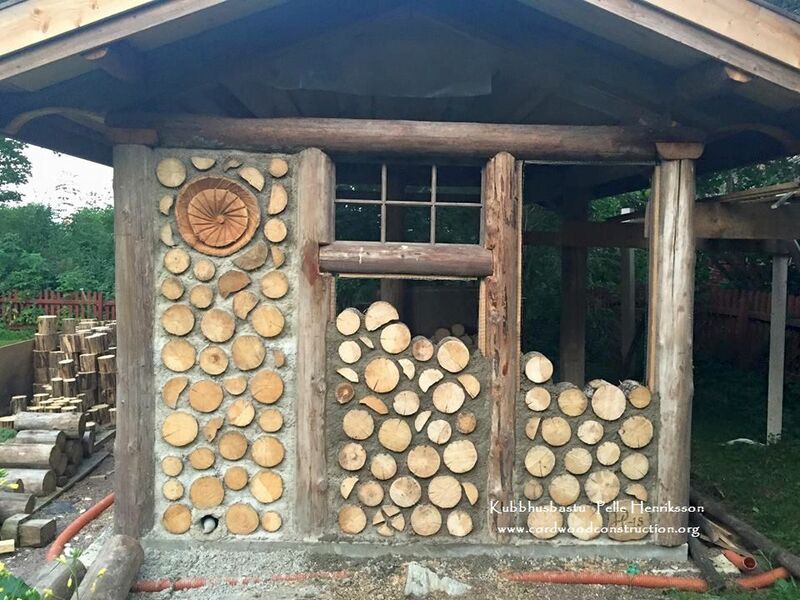 He calls his Facebook building site Kubbhusbastu which translates to Cordwood Sauna which Pelle says is “Just for fun.” The foundation (ring beam), framing (post & beam) and cordwood infill is very well done using “best practices” throughout. Pelle’s pictures tell the story very well. 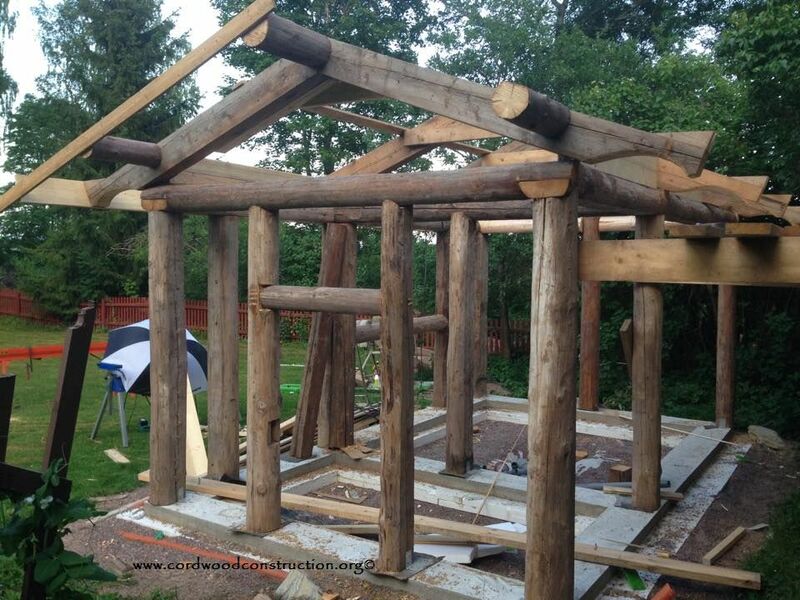 The logs for the framework are 100 years old and were found in Pelle’s uncle’s barn. The photo shows the grade beam and part of the drain tile (orange pipe). 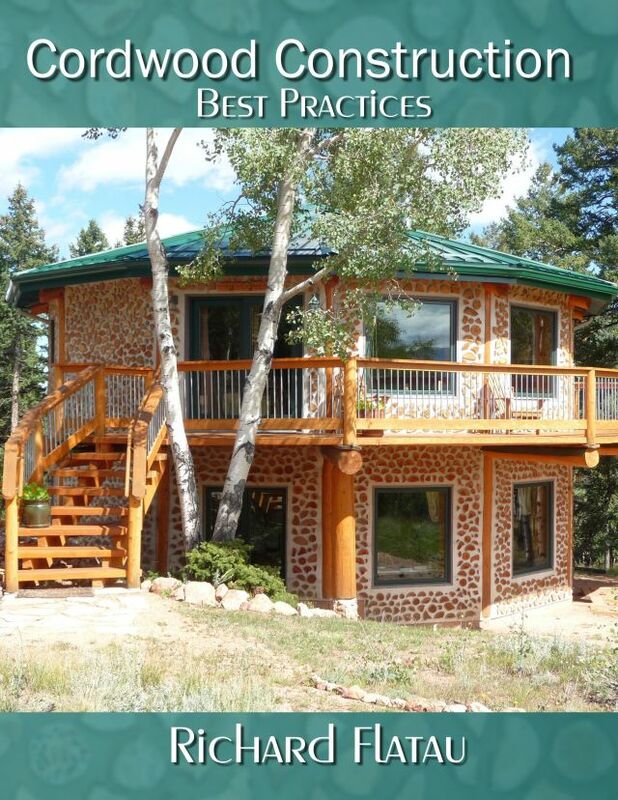 The foundation is a ring beam on a rubble trench with a drain tile sloped to a lower grade. 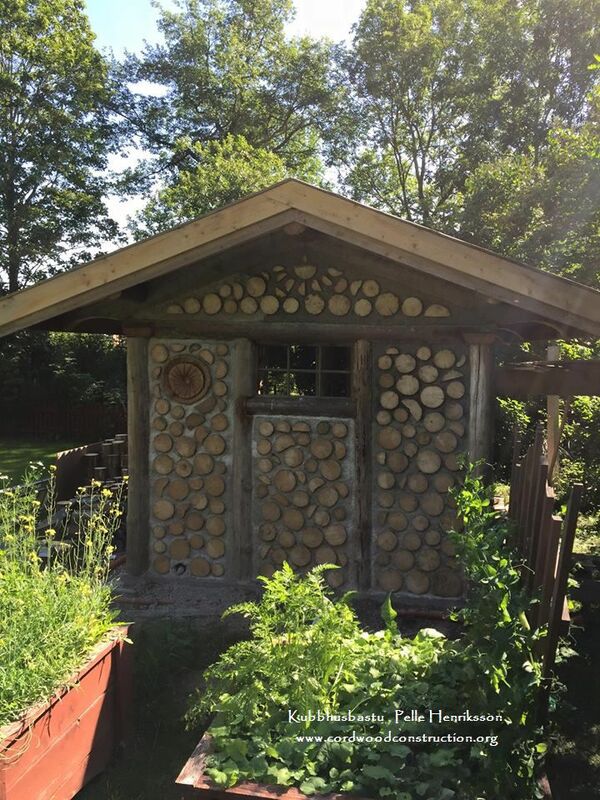 Each post has a roofing shingle placed on the bottom to stop moisture from “wicking up” the post. 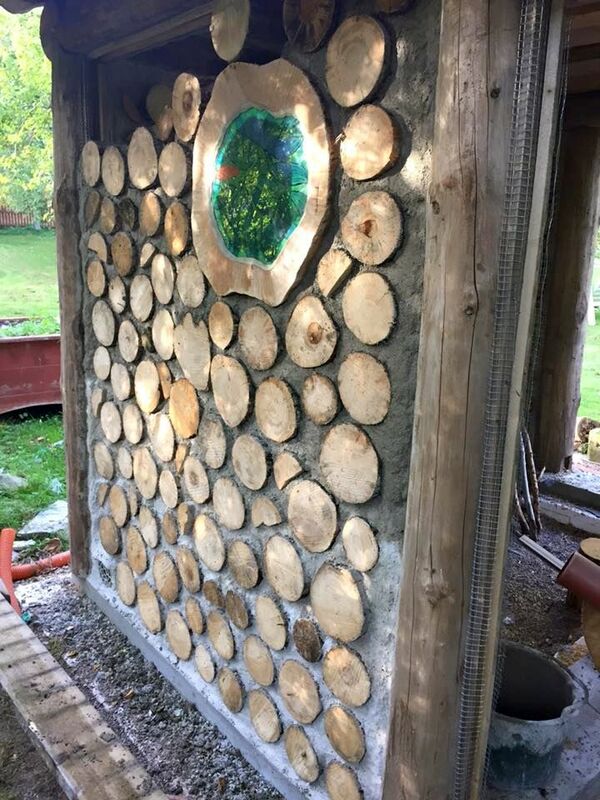 Many of the older cordwood (Kubbhus) buildings in Sweden use a clay-based mortar. 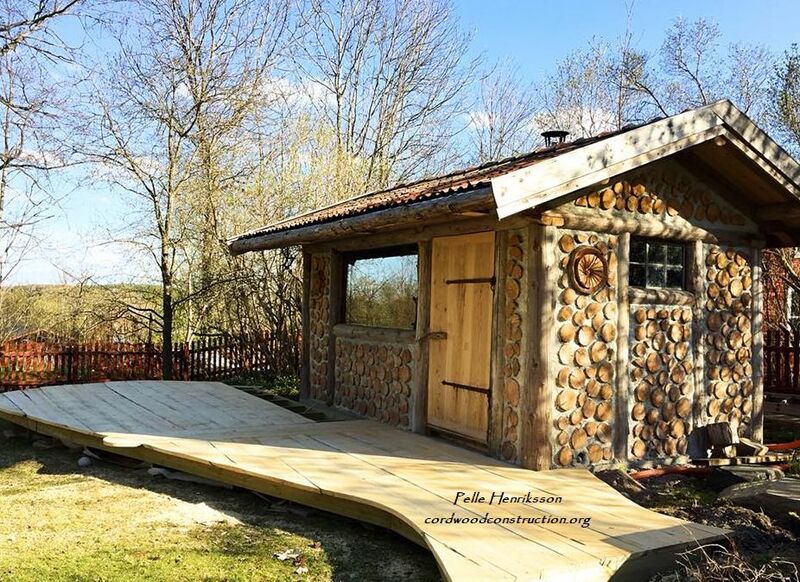 Olle Hagman has been very instrumental in documenting the migration of cordwood throughout Sweden and has located 150 buildings. 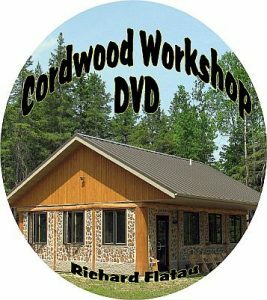 His excellent article is told in the Cordwood Conference Papers 2011. 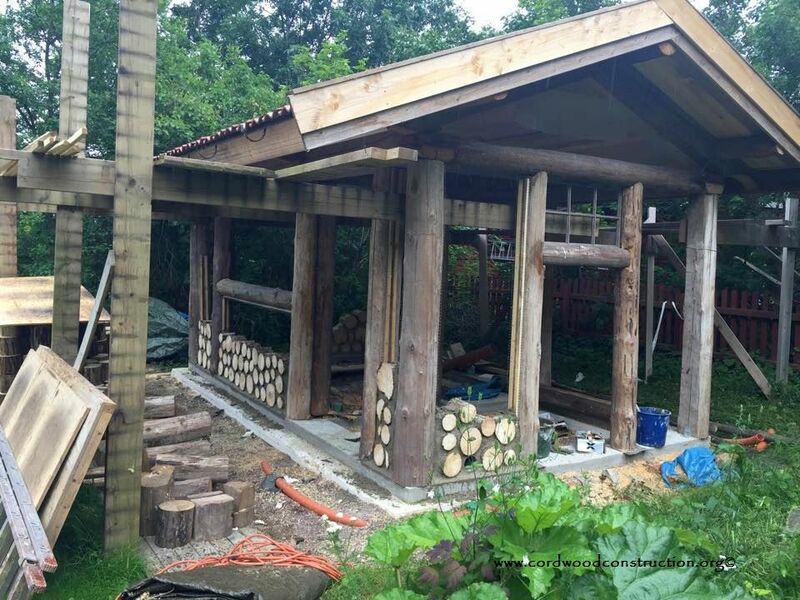 Note how the windows are placed within a post and beam framework. 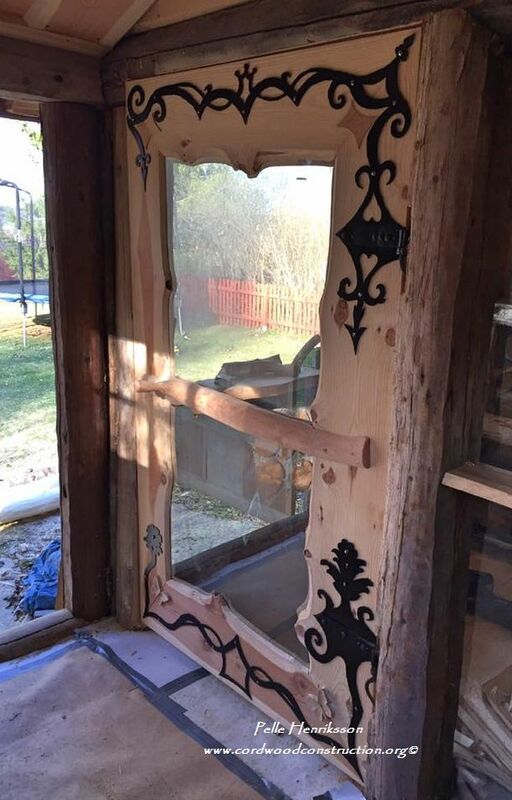 This is my favorite style of window framing. 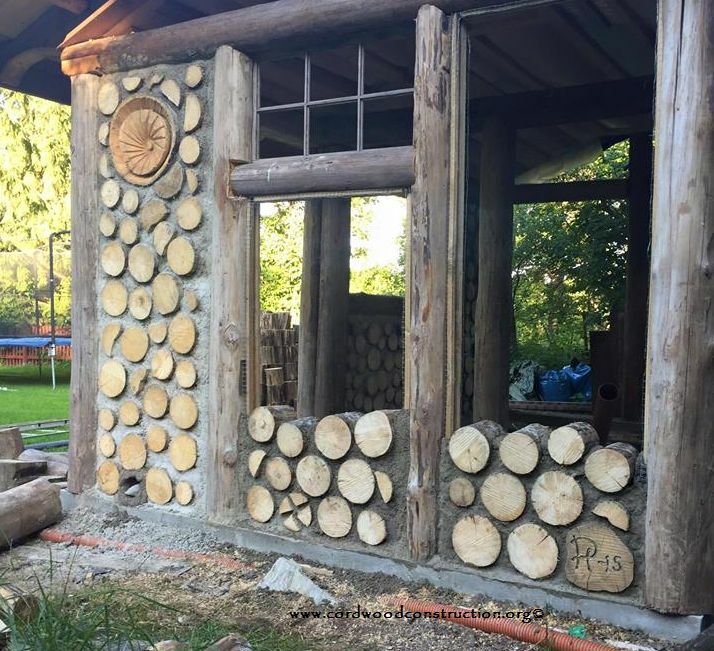 Pelle used keyways (vertical strips of wood on the posts) to hold his wall sections in place. 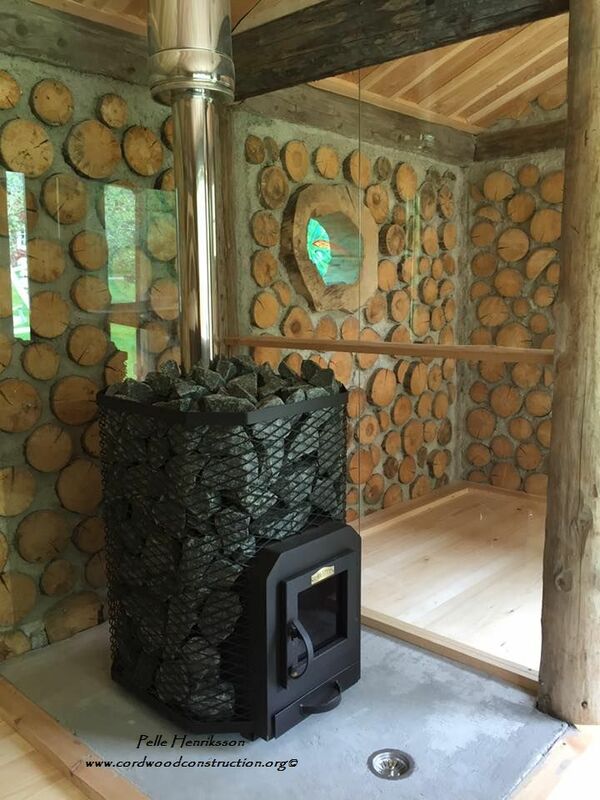 The sauna will have a changing room and a sauna chamber. 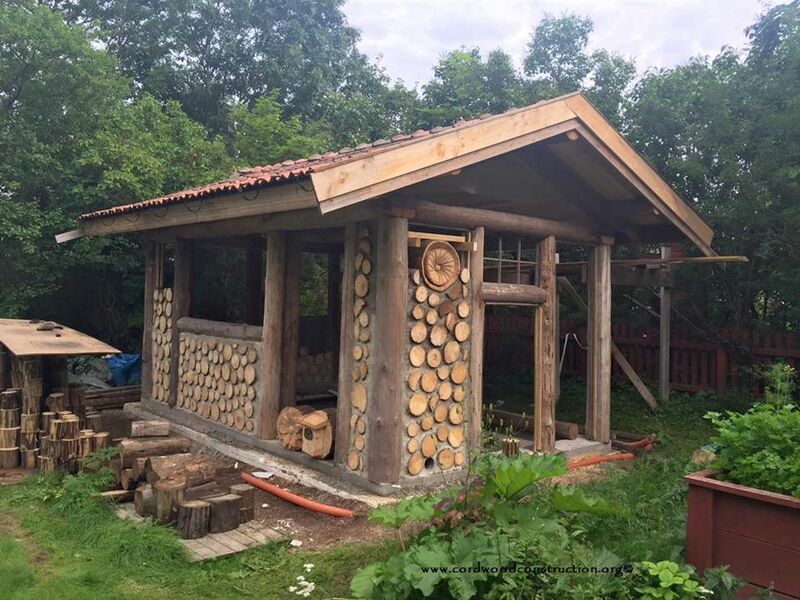 Putting the roof on first allows Pelle to work and store his materials out of the elements. 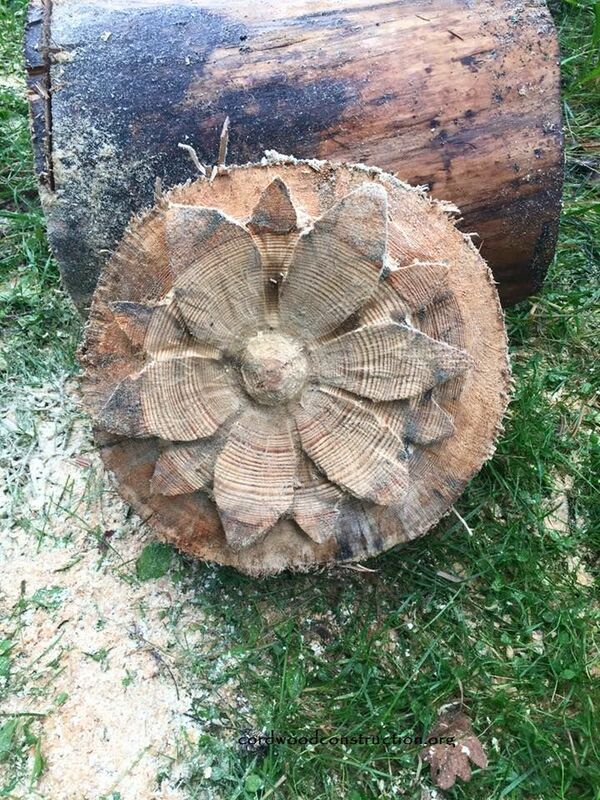 A beautiful flower motif chain saw cut into a log end shows off the Swedish love of all things wooden. 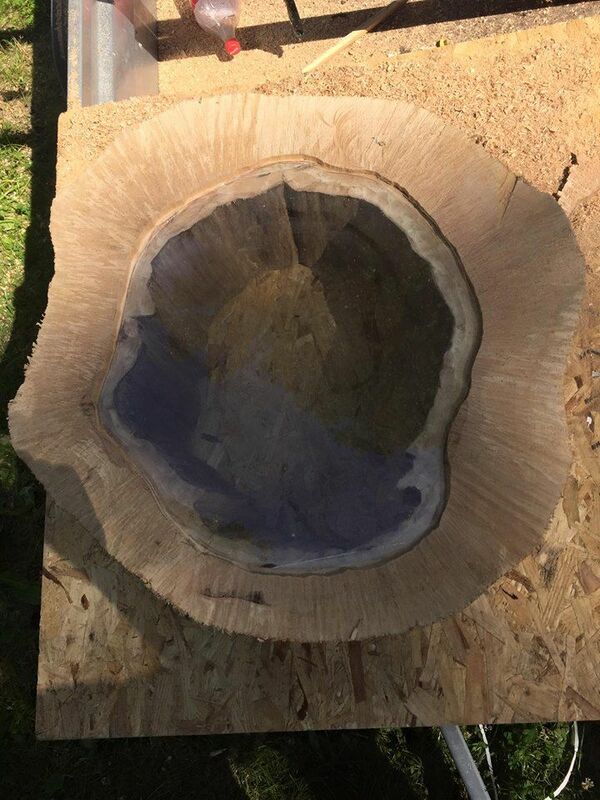 To fit a glass into a cleaned out hollow center log. 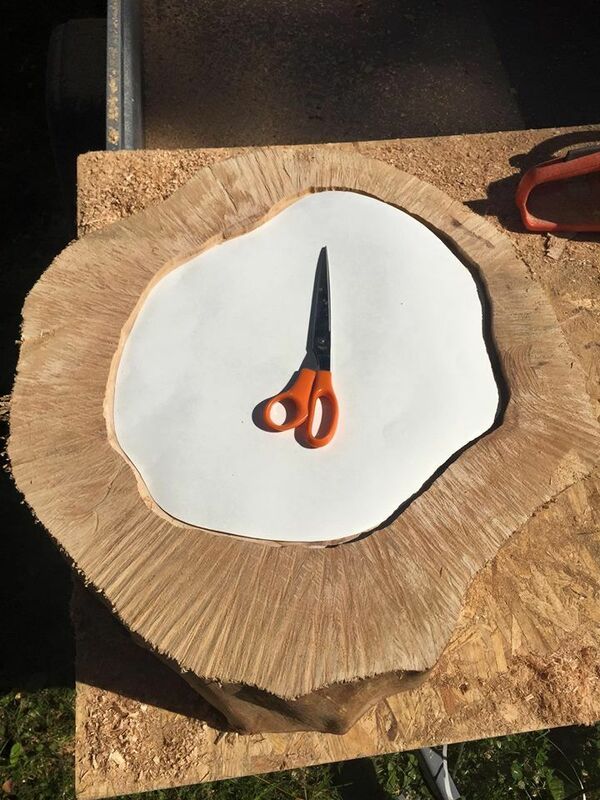 Cut out a sheet of glass after tracing and cutting the paper template. 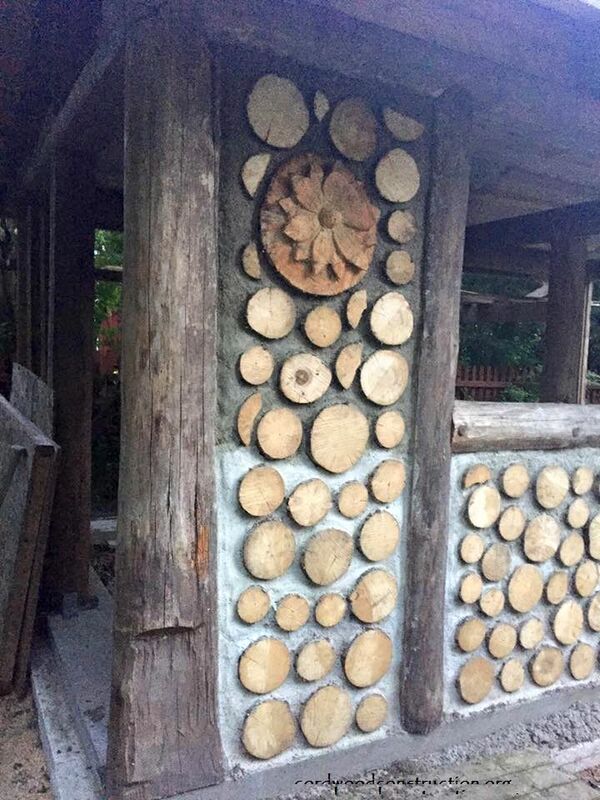 This is how the finished product looks. 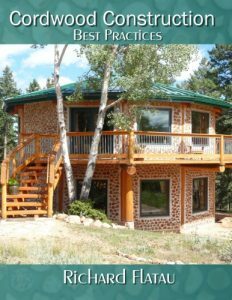 Hanging a wooden floor from a “grade beam” is done in the following manner. 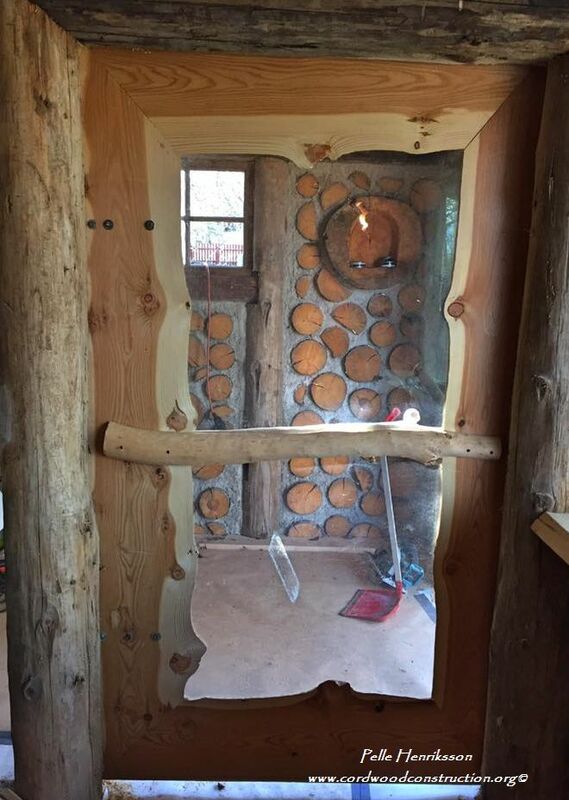 The door is handmade as is the wooden lock. 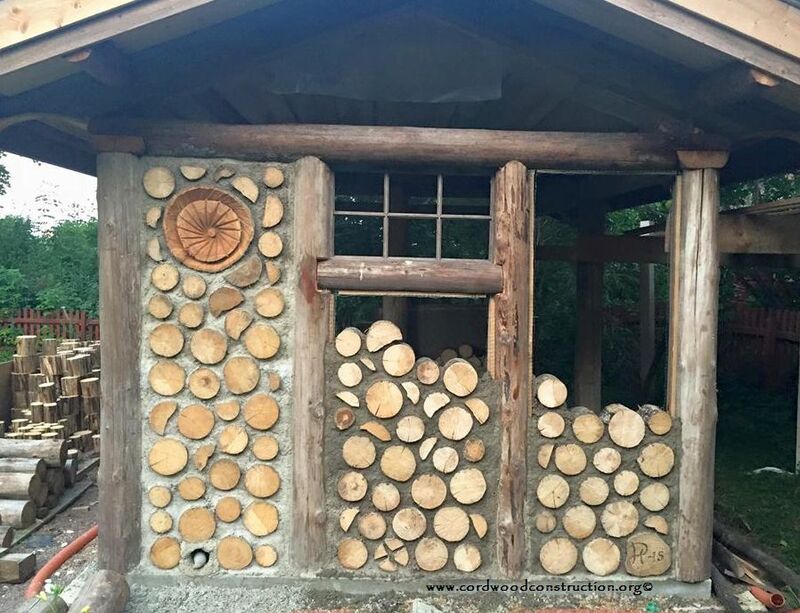 Pelle is an excellent carpenter. 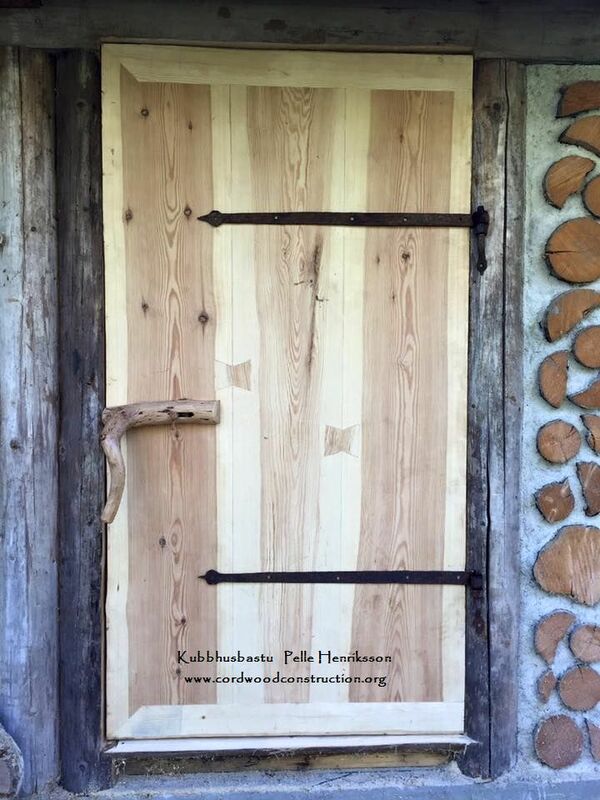 Beautiful handmade doors with incredible hinges. 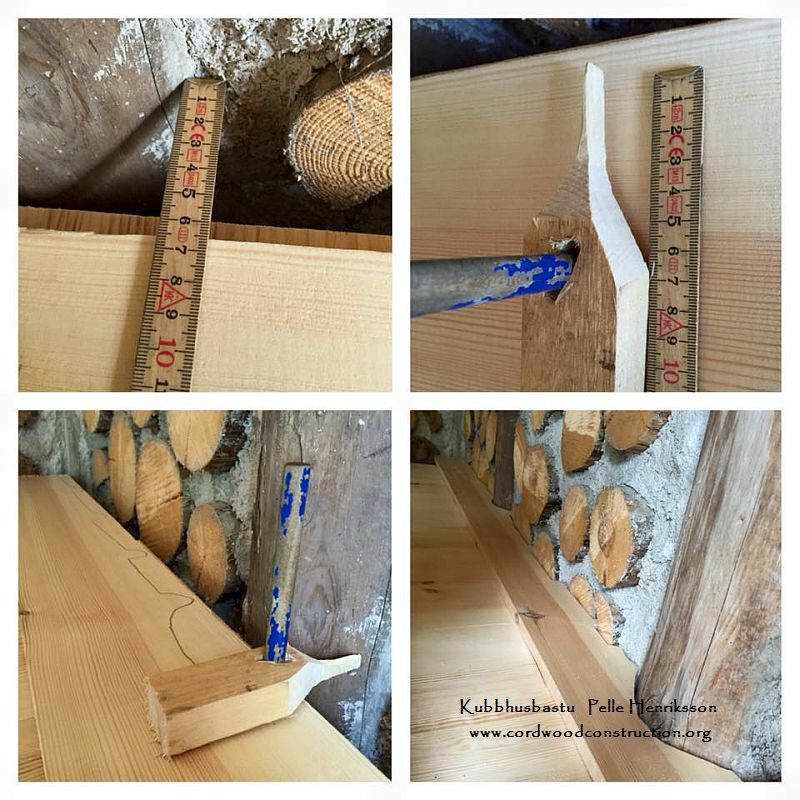 Scribing log ends that protrude to make for a clean floor, wall or ceiling line can be difficult so Pelle put together a visual “how to” section. 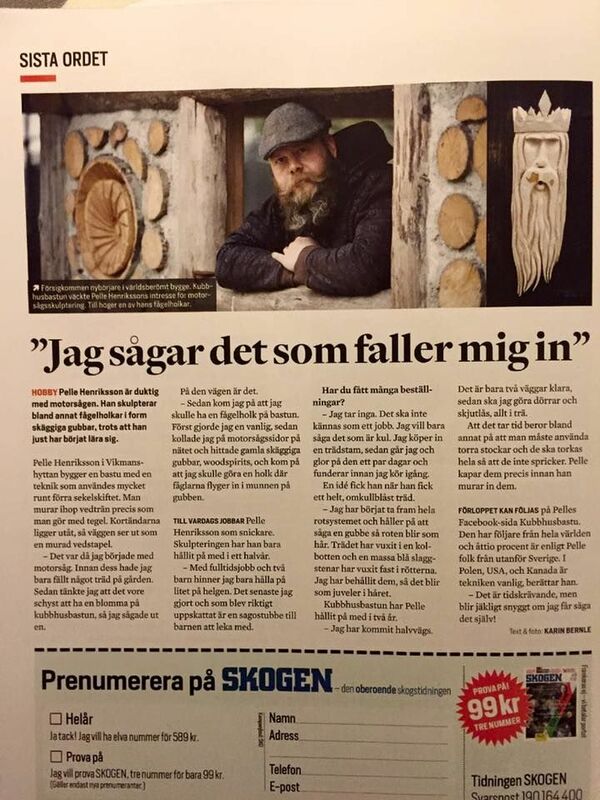 Pelle has become something of a cordwood rock-star with articles being published in various newspapers. 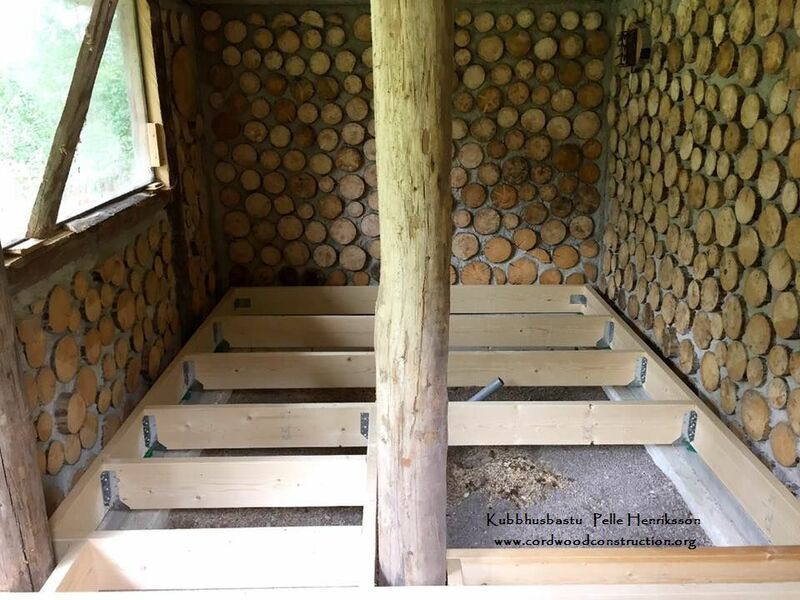 Many of these pictures and more are also on Pelle’s Facebook page www.facebook.com/pages/Kubbhusbastu/ You may want to bookmark Pelle’s page and check back every now and again to marvel at his progress. Thank you, Pelle, for the explanation and the photos!